Marcus Both describes his title-retention drive in the Philippine Open presented by ICTSI a “little bit odd,” needing to accomplish the mission on a different course although the Aussie ace remains confident of his chances when the $300,000 event is fired off beginning Thursday at the Luisita Golf and Country Club in Tarlac. The 36-year-old Both, a three-time Asian Tour winner, has endured an uncharacteristic run of poor form in 2015 where he sits way down in 136th position on the Order of Merit. But another Phl Open win will net him another one-year winner’s exemption on the Asian Tour. “My game hasn’t been good but I’ve rectified most of the issues which I’ve battling with. My game feels in great shape although the scores have not really shown. I just need to stay comfortable and shooting some low scores,” said Both. “It looks great and I’m very excited. At the end of the day we are fighting for the same trophy and I’ll be honored to hold it up for two years in a row. I’m sure everybody will go there with the same goal,” said Both. The storied Philippine Open has celebrated many worthy champions in the past, including Australia’s Peter Thomson, Lu Lian-huang and Hsieh Min-nan of Chinese Taipei, Mardan Mamat of Singapore and Filipino stars Frankie Miñoza, Angelo Que, Larry Montes, Celestino Tugot, Ben Arda and Luis “Golem” Silverio, who won as an amateur in 1966. Focus will also be on a slew of local aces, including Juvic Pagunsan, the 2011 Asian Tour OOM winner, who is raring to nail the crown missing in his vast trophy collection, and Miguel Tabuena, who hopes to cap a brilliant season with a victory in the country’s premier championship after winning this year’s ICTSI Philippine Golf Tour OOM title. 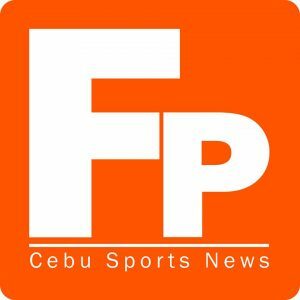 Tony Lascuña, Jay Bayron, Elmer Salvador, Cassius Casas, Rufino Bayron and Cebuano Charles Hong are also tipped to contend for the crown in the 72-hole championship held under the auspices of the National Golf Association of the Philippines and hosted by Central Azucarera de Tarlac for the first time.